Scientists have discovered the existence of gravitational waves, tiny ripples in the fabric of space-time, which have long been predicted but never before been seen or measured. The discovery cements a fundamental premise of how gravity operates and offers astrophysicists a new way to explore the universe. “We have detected gravitational waves. We did it,” said David Reitze, the executive director of the Laser Interferometer Gravitational-Wave Observatory (LIGO). “I am so pleased to be able to tell you that.” Direct measurement of these waves is the type of fundamental discovery a physicist can expect to see rarely, if ever. Albert Einstein’s Theory of General Relativity predicted the existence of gravitational waves 100 years ago. The theory states that gravity—the warping of space and time by mass—would manifest as ripples. Physicists have long had indirect evidence that such exceedingly tiny waves exist but never had technology capable of detecting and measuring them. A gravitational wave is about 10,000 times smaller than the diameter of a proton. The waves stretch and compress space on tiny scales at the speed of light and project the forces of massive bodies such as black holes and neutron stars across vast distances. The waves were detected by LIGO at 5:51 a.m. EDT on Sept. 14 and came from the collision of two black holes 1.3 billion light years from Earth. The black holes were 29 and 36 times the mass of the sun, respectively, and as they coalesced into one, they ejected about three solar masses of energy into space as gravitational waves. The merger was consummated in just 20 milliseconds. The ability to routinely detect these distortions of space-time opens up several promising areas of scientific research. Kip Thorne, a Caltech theorist and LIGO co-founder, described the instruments as “a new window” for astronomy, much as X-rays, radio waves, and optical light power other types of telescopes. 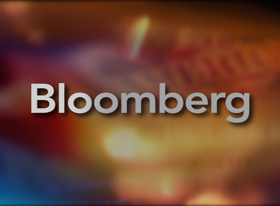 It's “a whole new way to observe the universe,” he said. Gravitational waves may also allow physicists to further their understanding of the most extreme parts of nature, such as the space near black holes where space and time are highly warped. The back holes' merger and gravitational waves are just “our first beautiful examples” of “the warped side of the universe,” Thorne said. Two additional LIGO detectors are scheduled to begin operation by 2019 in Japan and Italy. The new facilities will help astrophysicists pinpoint the precise location of cataclysmic events, be it black hole mergers or the decaying source of a supernova. A group from Caltech and the Massachusetts Institute of Technology announced the finding today at the National Press Club. The National Science Foundation funded the work, along with research agencies from Germany, the United Kingdom, and Australia. The waves were found by LIGO using two detectors nearly 1,900 miles apart, one in Hanford, Wash., and the other in Livingston, La. Each has two sealed vacuum shafts, both 2.5 miles long, outfitted with lasers and mirrors. 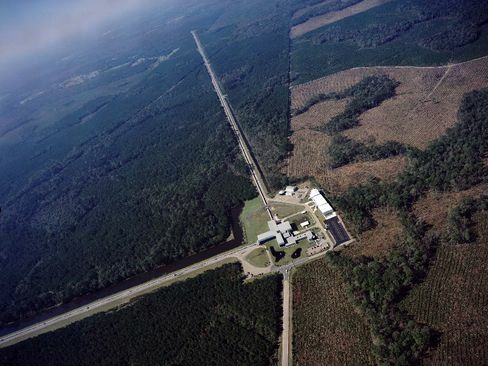 Traveling at the speed of light, the gravitational wave detected in September arrived at the Washington site 7 milliseconds after it was recorded in southeastern Louisiana. The lasers measure the distance between the mirrors on a very precise level and can detect changes as small as 10-19 meter. When a gravitational wave passes through the earth, distorting space and time, the distance between the mirrors changes. Because it is a wave with a frequency, Reitze likened the detectors to an omnidirectional microphone. Initial funds for the project were committed in 1992. The first observations began in the summer of 2002 and proved fruitless for eight years. An upgrade completed last year led to the current observations. Researchers said the current LIGO instruments are only about one-third as sensitive as they were designed to be and that they expect further work will increase sensitivity and likely record more gravitational waves. At Take Free Bitcoin you may claim free bitcoins. Up to 22 satoshis every 5 minutes. How will AI impact jobs? ¿Confianza, amor, compartir la contraseña?